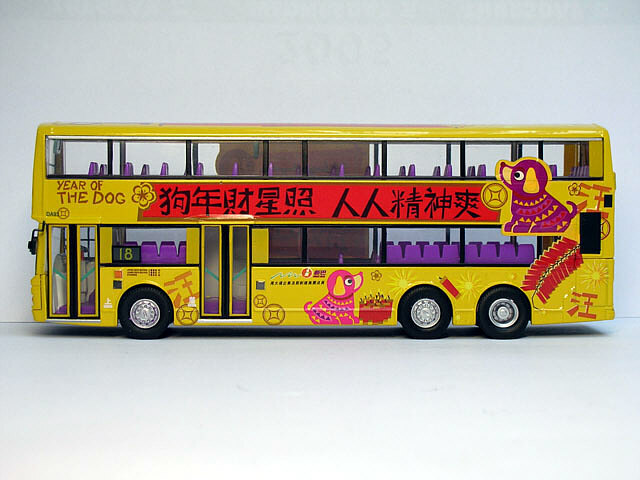 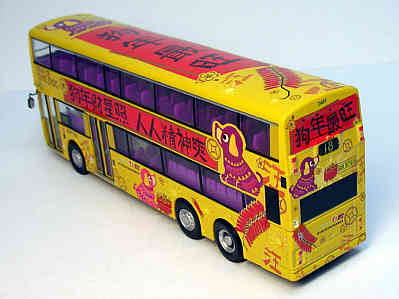 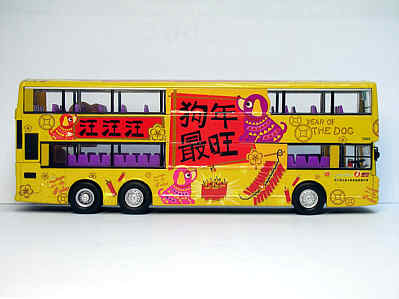 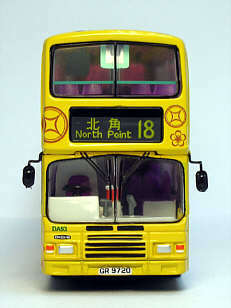 The model - details of this model were first announced on this site on 10th January 2006, a couple of days before the actual New World First Bus vehicle was unveiled in it's 'Year of the Dog' livery. 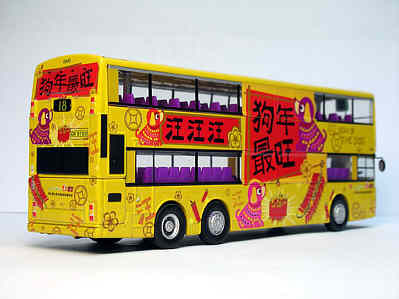 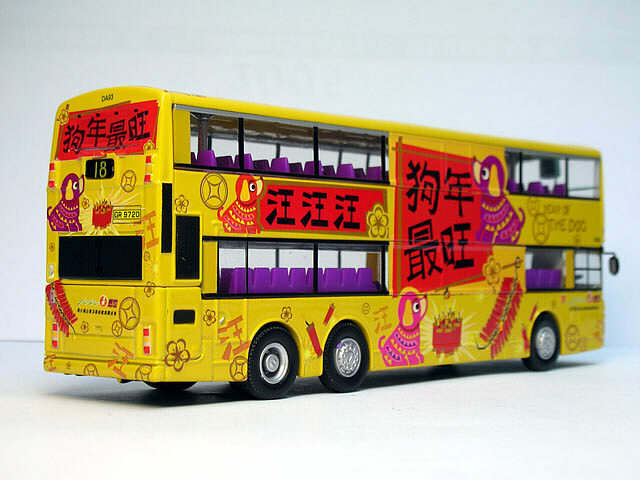 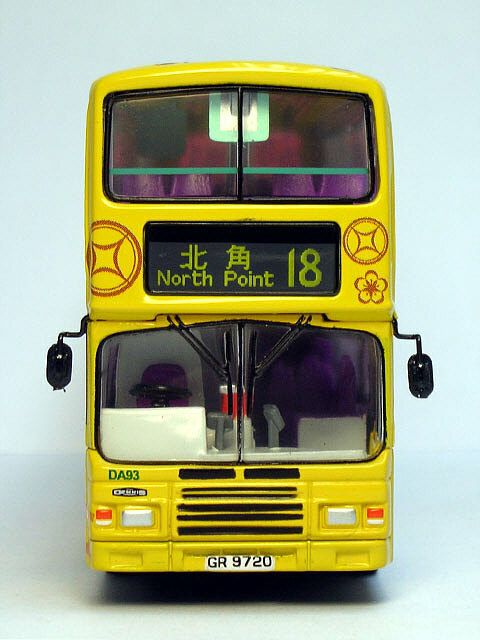 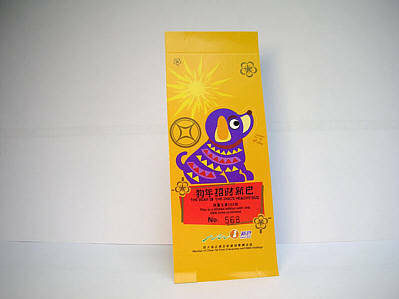 The Citybus model (CM061) was announced at the same time and carries the same decoration, indicating how the operations of the two companies have been merged under one ownership. Both models use the same Model Bus Evolution (MBE), indeed that company's only casting, which was last used for the Citybus 'Year of the Ram' (MB108) model almost three years ago. 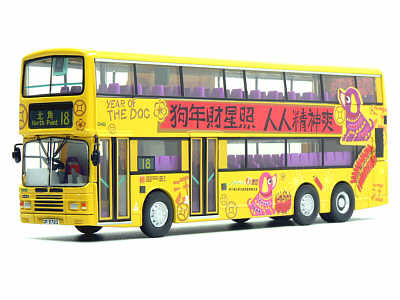 The bus - DA93 is one of four Dennis Dragons acquired by New World First Bus in September 1999 from HACTL (Hong Kong Air Cargo Terminals Ltd.). 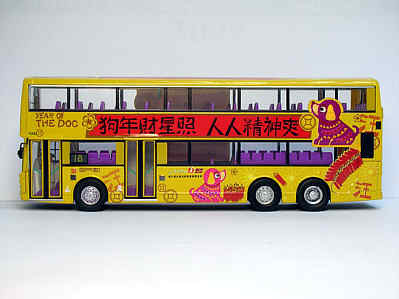 These four buses were first registered in 1996 and were used for non-franchised work and carried no destination equipment. 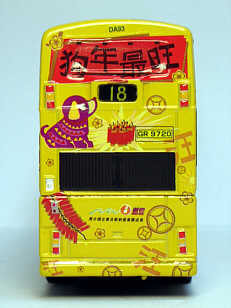 Whilst in the ownership of HACTL, they were maintained by Citybus.